LGUP Tool is the latest LG Flash tool which allows you to flash the kdz/tot/bin format LG Stock firmware on Any LG Android devices. Most of the user doesn’t know how to Download LGUP Tool and install the latest LG Flash tool on your PC. 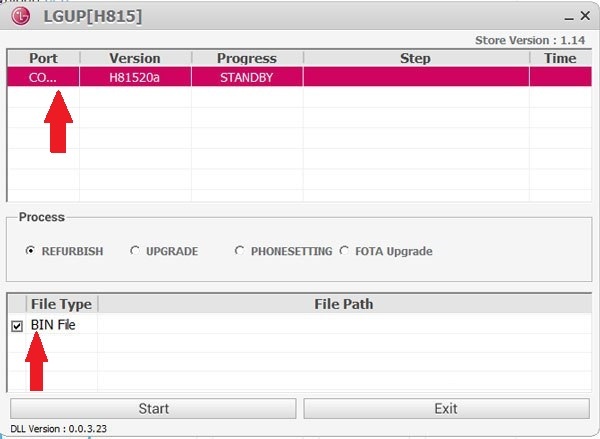 With this free LGUP flash tool, you can quickly upgrade or downgrade your LG Phone. and one of the smartest way to install the latest android update on LG devices. If you the LF android smartphone user and want to update your phone then here you can download the latest version of LGUP Tool. It works same like the Samsung ODIN flash tool, all you need the LG Stock Firmware file and with the help of this latest flashtool you can flash the firmware on your phone. The best thing about this tool is that it works on any Windows computer like XP,7,8.1,8,10. A few years back, at 2014 LG Flash tool is popular to flash the firmware on LF phones. But that app comes with lots of bugs like the connection problem, hangs lots of time, not able to read the firmware. So after that, a new flash tool comes on the board and yes it LGUP Tool. A small and bug-free tool for all the LG Android users. 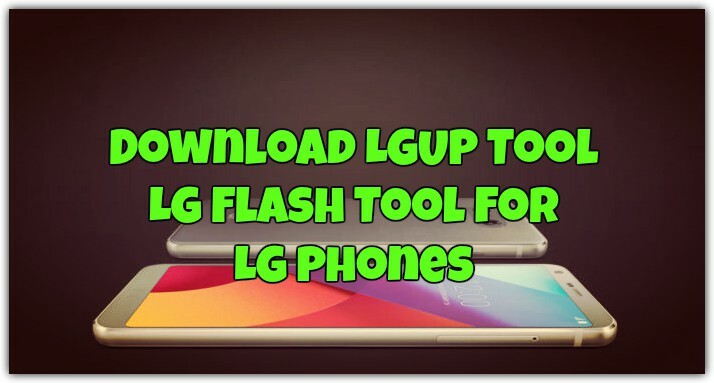 Here in this guide, we will show you how to use the LGUP Tool / LG Flash Tool on the LG Phones. But before that, let me clear some thing to you. This is not the Official Tool from the LG and this was created by some of the best Android developers so you can install the latest update on your LG phones. Below, we have provided the direct download links for all available versions of the LG Flash Tool for you. Thanks to all the developers who created this tool. a) Easy to flash the Firmware on your phone. b) If you are the rooted user with some custom ROM, then you can easily flash a stock firmware using LGUP flash tool, you can unroot your LG phone and you can bring it to stock state. c) Sometimes firmware’s are released for a geographical location. So in this situation, you can get the OTA update and have to wait for few more weeks to releases for your region. At this time you can use Flash tool to install the Firmware on your phone. The Zip file comes with two applications LGUP install and Dll file. Both come in .msi format and works on any windows PC. You need to install both the files on your windows PC to make the flashtool work. Also, you need to install the LG drivers on your PC. You can find the download link below. Without these drivers, you can’t run the flash tool on your PC. 1. Download the zip file from the download section and extract the LGUP flash tool on your Windows PC. 2. Download and Install the LG USB drivers. 3. now in the LGUP folder you will see two files. First Install the LGUP_8994_DLL_Ver_0_0_3_23.msi. This will install some DLL files automatically. 4. After that install the LGUP_Install_Ver_1_14_3.msi executable and follow the on-screen instructions to complete the installation. DONE!!! LGUP Flash Tool is now installed on your Windows PC. Now you can use this flash tool install the stock firmware on your LG phone. 1. Download and install the LGUP flash tool. 2. Install the LG USB drivers. 3. Connect your LG phone and then Open the LGUP flash tool. 4. Now your LG phone will be listed on the LGUP tool. If not then reconnect the phone. 5. Make sure BIN file is ticked on the flash tool and in the File Path point it towards the MM KDZ you have downloaded. 6. IMPORTANT!!!!!!! shut down LGUP! 7. Now open LGUP again – you will notice that the MM KDZ will still be showing in the FILE PATH section. 8. Select REFURBISH option in the flash tool and make sure BIN file is ticked. Press Start. 9. Once the process is completed, your phone will restart and you are DONE with the flashing and you may unplug your device from the PC. If you have any questions or you are facing any problems on the download links then let me know. Like Jake said, this is essentially useless tutorial. I bet you copy and paste this from somewhere else..